We are thrilled to have Dame Therese Walsh as our next inspirational speaker for the PACE meeting on Tuesday, 30 May. Dame Therese has had a stellar career in Senior Management with various iconic organisations in New Zealand. Dame Therese will speak about her early life and the influences which have led her to where she is today. 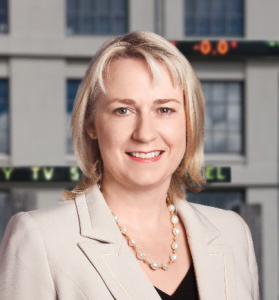 Dame Therese is a professional director and is currently Deputy Chair of TVNZ, Director of NZX Ltd, ASB Limited and Air NZ, A Trustee of Wellington Regional Stadium, is a Victoria University Council Member and an Ambassador for the Wellington Homeless Women’s Trust. Previously Therese was Head of NZ for the ICC Cricket World Cup in 2015 which saw the Black Caps make the final in Melbourne. Therese was also the CEO for Rugby NZ 2011, which saw the All Blacks win their 2nd World Cup. Therese has been a director of NZ Cricket, Save the Children NZ, a member of the rugby union executive team and held a senior role with KPMG. Given that Dame Therese is an Ambassador for the Wellington Homeless Women’s Trust (www.homeless.org.nz) , we will be asking for a gold coin donation on the night.